When golden eagles migrate to and from Alaska each year, they have to fly around a huge obstacle: the 16,000-foot peaks of the Wrangell Mountains. Some of the eagles choose a route that skirts the northern edge of the mountains. Others go south. A new study examined how the weather affects which way the eagles fly. 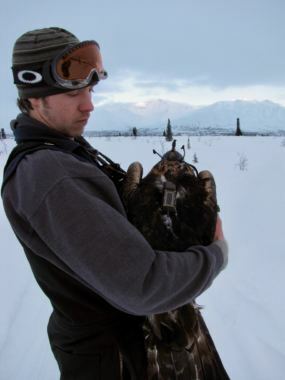 First, the scientists caught golden eagles at Gunsight Mountain, off the Glenn Highway between Anchorage and Glenallen, using roadkill moose and caribou as bait. Then, they fitted the eagles with miniature, solar-powered GPS backpacks that weigh about as much as a Snickers bar. Every spring, the eagles migrate to Alaska, and in the fall they leave. Eisaguirre was looking for the answer to a pretty basic question: How does the weather affect the eagles’ route choice around the Wrangell Mountains? His paper combined the eagle data with information from a weather model to show that in the fall, a northern route around the mountains becomes more popular with stronger winds from south. 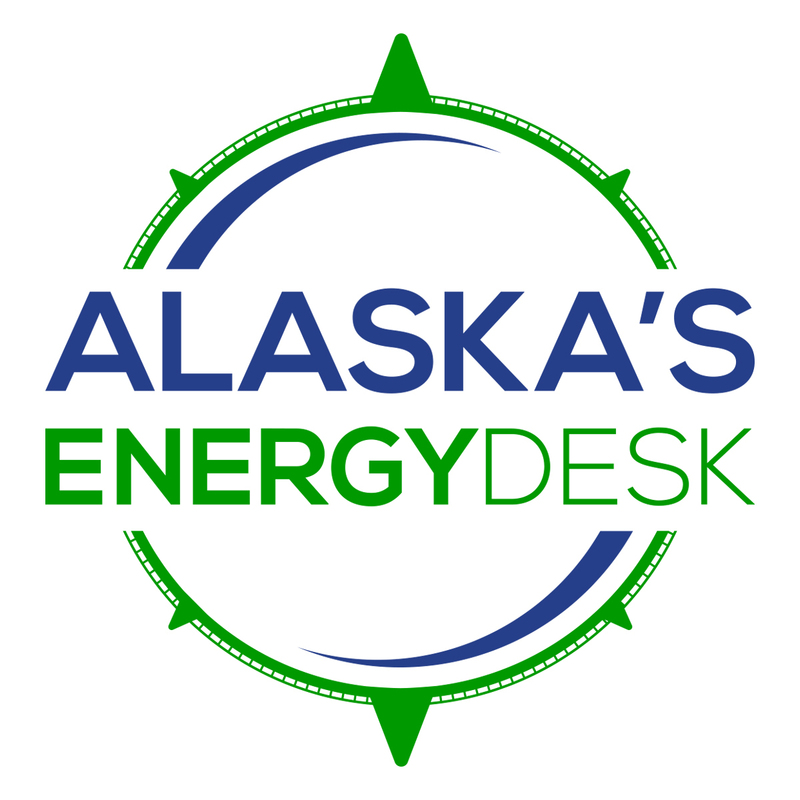 “That south wind comes off the Gulf of Alaska, potentially bringing some pretty bad weather with it — some precipitation and low clouds that might make that route less desirable,” Eisaguirre said, referring to the southern route. In the spring, when the weather is better, stronger south winds actually made the southern route more popular, the study found. Eisaguirre said he thinks that’s because the wind flowing into the mountains can create good updrafts that the eagles can use to fly. 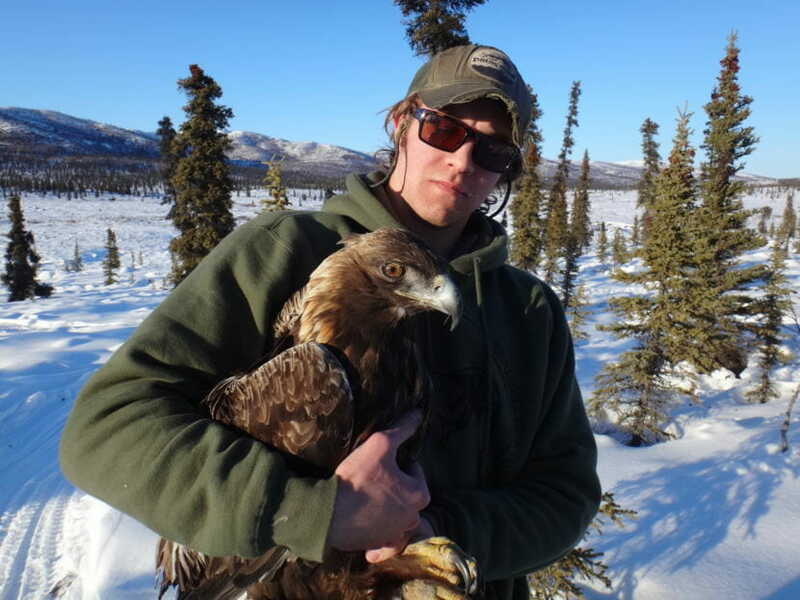 The study’s results showed how changes in weather tied to climate change have the potential to change animals’ migration patterns, Eisaguirre said, though it will take more work to figure out exactly how that could happen with Alaska’s golden eagles. Previous articleNuclear power in Alaska? Experts say it’s not as far-fetched as you think. Next articleSeismic work in ANWR this winter? Time will tell.